A week ago I began a discussion on what makes a good song leader and promptly got distracted by the case for “song leaders” rather than worship leaders. (You can read it here: Why I prefer Song leader to Worship Leader.) Whether or not you are happy with my choice of terminology please come with me to consider 12 things that make an effective song leader. To be an effective song leader requires discipline of both the mind and voice. It takes a balancing act of several important elements – especially humility, a desire to serve, vocal ability and confidence. And this does not just apply to when you are on stage! Song leaders must be genuine Christians who see their role as one of service, teaching and encouragement. They must think things through and prepare well. One of the most helpful and guiding pieces of advice I have found for song leaders was given by Charles Spurgeon! Though originally aimed at preachers, he said the challenge was to “draw back the curtains on Christ and get lost in the folds.” What a brilliant reminder that we are not up front for self-glorification, but for Christ! That’s a pretty good definition, so I’m not going to tamper with it! 1. See yourself as a “servant leader” who is doing a job to help others, to enable the gathered body of Christ to sing together, to praise God and encourage each other. You are serving the congregation with your voice, with clear and well-tuned singing that is easy to follow (just as you might serve with your hands in vacuuming the auditorium). 4. Your body language and facial expressions are pretty important, because they will be reflected to you by the congregation. If you are looking awkward or nervous or disinterested, they will feel that way too. A smile, particularly with your eyes, while you sing is something you can practice. Mirrors provide useful feedback. Stand evenly on your balls of feet, relax your knees, one foot slightly in front of the other. Keep your shoulders down and relaxed. Be a good example of an engaged and joyful participant in corporate praise to our great God! 6. Be well practiced, so that you arent missing cues, or stuffing up words and doing things that will draw attention to yourself. 7. Be realistic about your abilities and keep tuning your instrument – get vocal lessons to help iron out any issues. Breathing technique is all important. Learn good technique! If you know you are forcing your voice to sound the way you do, seek some help or you could do damage! 8. Learn basic music theory so you can follow a melody and sing the right rhythms, or hold on to notes for the appropriate length. Learn how to follow repeats, first time endings, 2nd time endings, what ‘D.S al Coda means’ – and more. 11. Give clear instructions if you are leading the band (both during practice and in the service). Use cues to keep everyone together. Make sure the structure of the song is clear for everyone. Listen to the members of the band, what they are saying in practice, as well as what they are playing. 12. Be on time for band practices – and organise them well ahead of time if that is something you as the singer has to do. Sing the song enough times on your own so that the melody is fully entrenched in your mind. Know the structure of the song as it will be sung at church, which may differ from the recorded version. Be willing to pray for your team and with your team, for their role as musicians in the gathering. 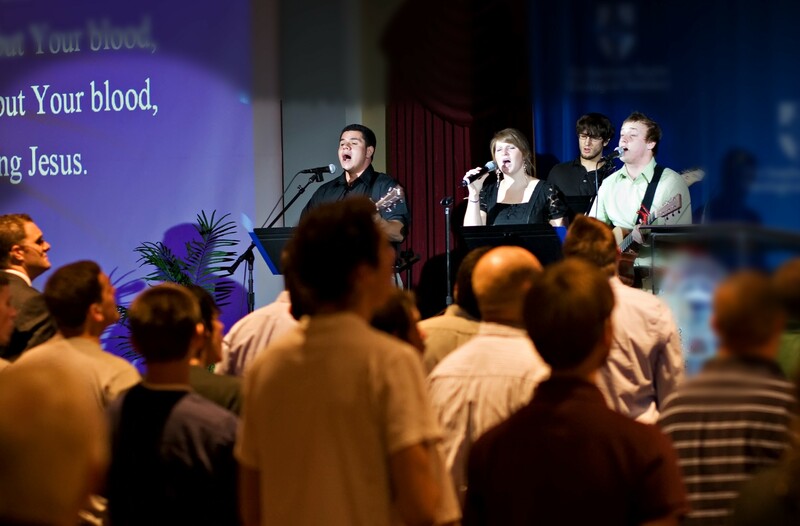 Being a song leader is a great privilege and it can be a great blessing to others as you help Christ’s visible body gather together in songs of praise to our great God. If you are a song leader, keep working at it! I hope these points have been helpful! This entry was posted in Best Christian musicians, Encouraging others, Glorifying God, Ministry training and tagged Church music, music, music benefits, Power of music, worship. Bookmark the permalink.